Even the most spacious storage spaces tend to feel cramped and overstuffed. So what do you do when you have a legitimately small closet? 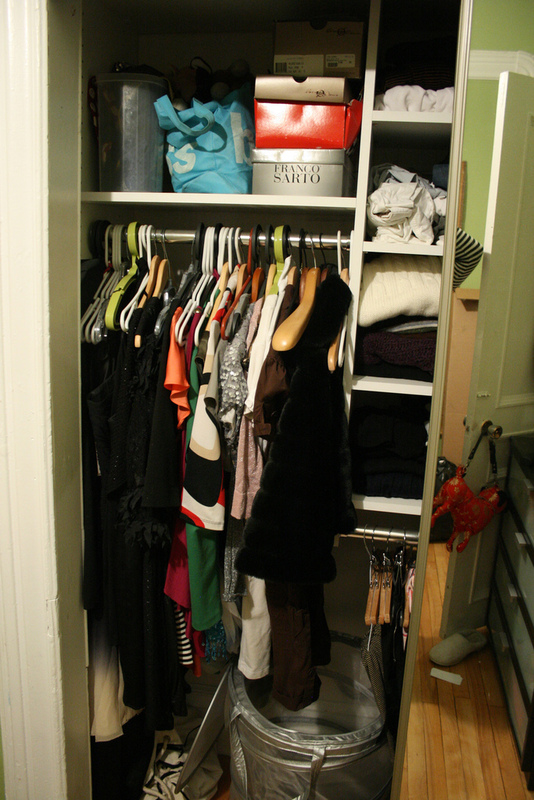 Stop losing clothes when you reorganize your bedroom closet with these tips from Mr Junk. Toss last year’s styles. Most people balk at cleaning out their closets, but you’d be surprised how quickly your donations pile grows when you set aside a few hours to clean out stuff you never wear. 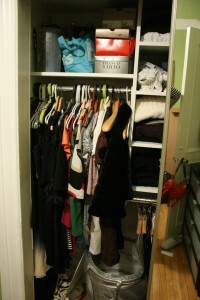 Sort through hanging clothes, dresser drawers, and shoe/accessory storage to cut down on closet mess. Customize your closet. Is your closet small, oddly shaped, or hard to reach? Don’t be afraid to hang extra rods in the closet, utilize free-standing storage shelves, and use baskets or boxes to keep shoes and accessories organized and accessible. Have a system. If you’re used to rifling through half your closet to find the item you need, a little organization is the answer. Implement a system to make finding items easier. Try hanging work clothes nearest to the door, keeping your favorite clothes easily accessible, or arranging clothes by color or style. Get smart about seasons. Buried in years’ worth of t-shirts, sweaters, and outerwear? Store out of season clothing under the bed or in the attic. Show off your stuff. Accessories like scarves and jewelry can double as home decor. Artfully hang nails or knobs on a blank bedroom wall. Voila! Instant storage you won’t be afraid to show off. Finished with your closet clean up? Call Mr Junk to remove old clothing and hardware.